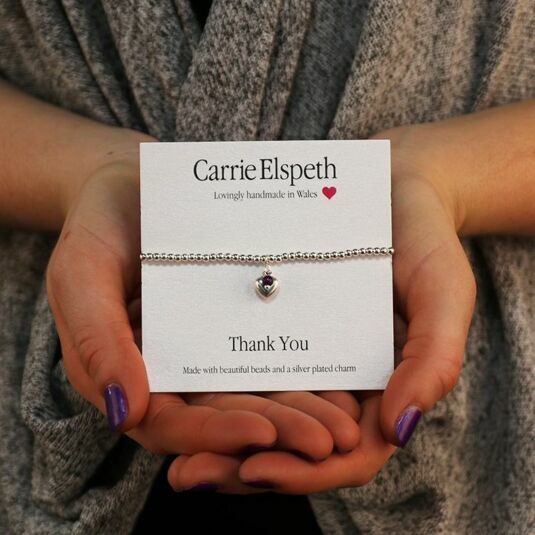 Let a friend or loved one know you care with this beautiful bracelet from Carrie Elspeth. The bracelet features silver Czech beads and a cute, silver plated heart pendant with an attached purple bead. The bracelet stretches to fit over your wrist, meaning you can easily take it on and off to accessorise your outfit. 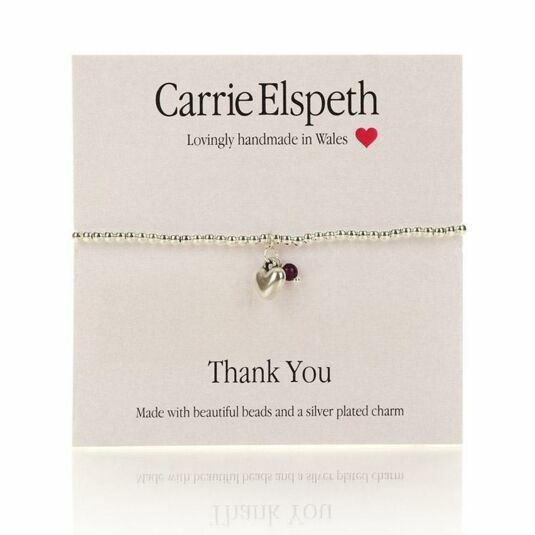 A 'sentiment' card is included with the bracelet, with the message: "Thank you".